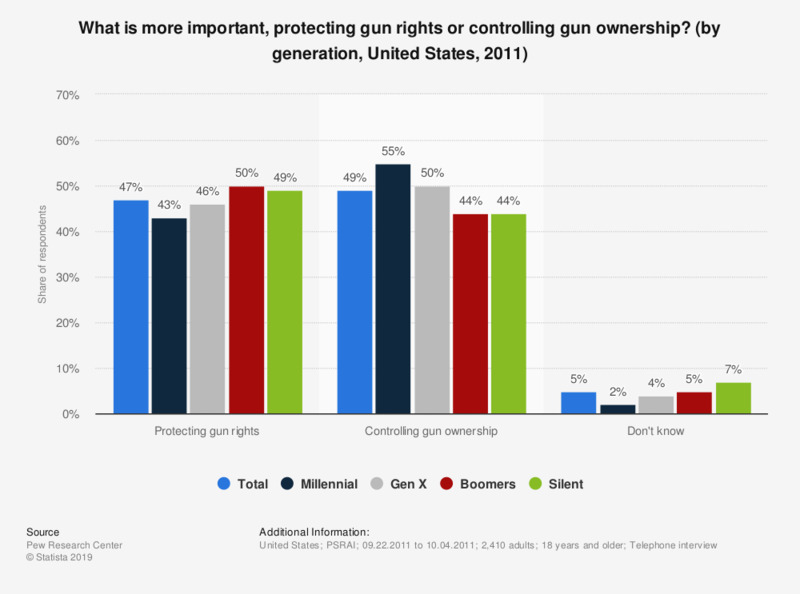 This survey shows the attitude towards gun control in the U.S. in 2011, by generation. In 2011, 50 percent of Baby Boomers stated that the protection of gun rights is more important than controlling gun ownership. Millennial (18-30 years olds): 381 people. Generation X (31-46 year olds): 493 people. Baby Boomer (47-65 year olds): 905 people. Silent (66-83 olds): 513 people. Figures may not add to 100% because of rounding.